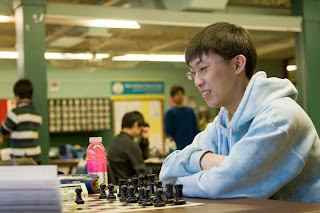 Melvin Zhang, who has played at the Boylston since he was a boy and had been active in Mass scholastic chess, attained the title of National Master at the Amateur Team East, probably becoming the most recent chess master from Massachusetts. 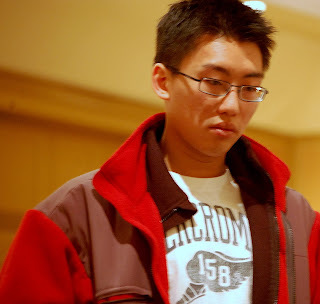 Melvin is a sophomore at Boston University and doesn't play tournament chess much these days. In fact, his last event was the AMATE in 2008 and he closed that year at 2198. Playing board one for this year's version of the BU Terriers, he edged over that last hurdle to reach 2202. Close, but he gets the cigar. Congratulations Melvin. I am personally very proud of you, and I must say, relieved, since I have felt in suspension since last February. The BU board two, WFM Roza Eynullayeva, also had a terrific result, earning 5.5 points and placing #23 of the 1201 players in Parsipanny. and team advisor, chaufeur, and photographer Robert Oresick alternated on board 4. Oddly enough, the BU team won the title of best team from Massachuessts. Considering all the great teams from MA, I can't believe this is correct. Maybe no one else signed-up on the sheet in the MA column. In any case, in the tradition of dis-investigative chess journalism, we will let sleeping dogs lie and stones-unturned and hope for the plaque in the next Fedex bag. In the eighties my family did a great deal of camping in the Maine Woods and I purchased a Filson hat to keep my head dry in the worst of rain and snow. The Filson became most unsightly over the years. My kids called it "The Hat". One very rainy day when I was working in South Boston, commuting via the T, while preparing to slosh to Broadway Station amid a hellatious storm the owner of the company asked me: "Mike why do you wear that hat?" Answer: "To keep the voices away." When the first English version of "Think Like a GrandMaster" arrived in 1971 Alexander Kotov outlined how one should think during a chess game. Kotov suggests that one should select several "candidate moves" and explore these. Then describes the branching variations analysis analogous to the limbs of a tree. And then when one is about to move Kotov suggested that one should go into another mode, first write the move down (which currently varies from current USCF rules- BTW) and evaluate one last pass checking for blunders, checks, and opponent responses. Then make the move. Also he talked about what you should think about while waiting for your opponent who is "on the move"/WWOM. At that time I was greatly influenced by the book and actually worked hard to unlearn my self learned chess thinking approach and use this more disciplined way. 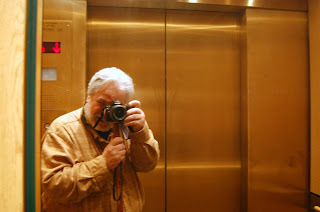 Returning to OTB from my 19 year sabbatical I didn't think much about how to think. Although Rolf Wetzell and many others have written about how one should approach thinking during a game; to me they are lightweights when compared to Kotov. In regards to analysis during a game, probably the best not common knowledge advice I ever got (and I can't remember the name of the person): Only analyze down variations once, learn to be as precise as possible in one pass. Don't go back unless you feel the position has changed or some new idea pops into your head. At a maximum only check it once before you move, if you have time. Learn to have confidence in your analysis. 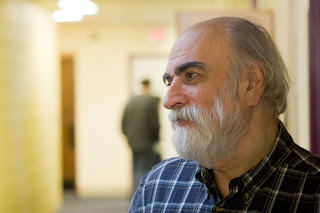 Today I find that if I'm to move I think in a loose Kotovian way, but while in WWOM state many times I hear voices: like Larry Christiansen: "Look for the violent forcing move." Chris Chase: "You've got to check every check. & Mike you've got to work harder." 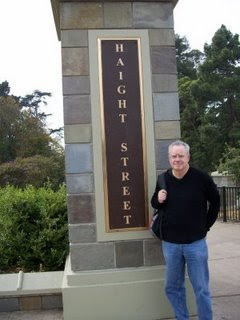 Harry Lyman: "Get your pieces on good squares." Irving Yaffee: "Ask. What is my opponent trying to do?" 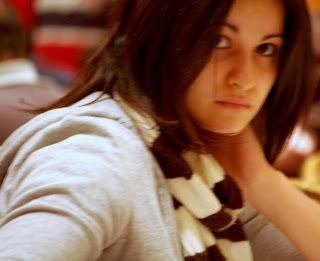 I have no strategic voice, and that's probably explains why I play the way I play. And if you notice I never wear my Filson to tournaments no matter how hard it rains. What are some of your suggestions and ideas on how to think during a chess game? Players divided into six player sections by rating. Bryan Clark [spelling corrected] started this series as a fund raiser for the club. A couple of years ago cash prizes were added. This tournament is especially amusing since, aside from round one, you know your opponent and your color and have a slow time control in which to enact your home preparation. And you play both colors against your opponents. A boxer on the top of his game is said to have "the eye of the Tiger": The killer instinct, the edge. I think of Bobby Fisher's 1971 incredible run of 6 - 0 against both Mark Taimanov and Bent Larsen and defeating Tigran Petrosian with 5 wins, 3 draws, and 1 loss to go on in defeating Boris Spassky becoming the work champ in 1972. Clearly Fisher was the best in the world and he and everyone else knew he was. Gary Kasparov was world champion 1985–1993 (undisputed) and 1993–2000 (non-FIDE) his FIDE rating peaked at 2851 in July 1999 and at that time was clearly the strongest human chess player around for a long time. 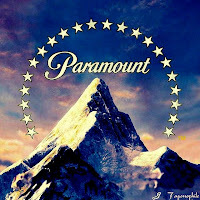 The strongest ever to date in my opinion. But In 1984 Kasparov's road to championship was a bitter struggle as he had to play Anatoly Karpov 31 games before he could beat the then world champ Karpov for the first time. But once Kasparov passed that threshold he never looked back. Similarly Anatoly Karpov never seemed to have the same strength just like a boxer, where often a single defeat causes the boxer to loose their edge/"eye of the tiger" never to have it return in quite the same way. 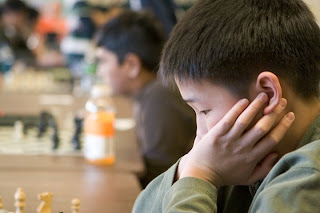 Sadly there are many American chess players both contemporary and in the past who essentially dropped out of world class chess once they realized that they were never going to gain enough strength to grab the world crown. Respect and hope requires that I don't mention them, but I bet you can think of several. And in effect Bobby Fischer lost the eye probably catalyzed because of psychological problems. In the early 1970's FIDE/Soviet Union knew they could rebuff just one of Fischer's demands and the Fischer Karpov match would fall through. Rumors were around that Bobby was afraid of losing his title. Given how strong Karpov was in the late 1970's and early 1980's I think Bobby would have had quite a battle on his hands. Also it's ironic that Kasparov pulled the world championship out of Fide and Fischer never did. Clearly to be the absolute best requires all types of strengths in many areas, but motivation and self confidence are on the top of the list, and once lost are very difficult to retrieve. Paul MacIntyre, Brian Hulse, Libardo Rueda, and Alan Price won 6 of 6 to lead the 39th annual Amateur Team East in Parsippany, NJ. Congratulations on a truly impressive achievement. Many Bostonians traveled to the 39th AMATE. Several teams were loaded with Boylston players and in most rounds at least three BCF saturated teams were behind the velvet ropes. In the sixth and final round, on board one was Paul's team, on two was Bill Kelleher's team, and on four was Marc Esserman's team. The team Paul McIntyre, Brian Hulse, Libardo Rueda, and Alan Price won with a perfect 6.0 in a typically strong AMATE field. LM Brian Hulse, I think, is from New York - the Marshall club, but Paul, Libardo, and Alan are familiar Boylston players. Paul said Alan has been on another winning AMATE team. 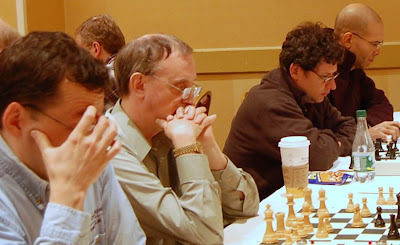 I took a few pictures to share the why this tournment has been a favorite of many chess players for almost four decades. Congratulations to the champions and all the competitors! And thanks to the organizers! Like TD Ken Ballou and George Mirijanian. 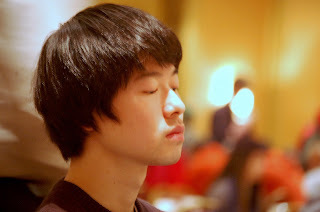 The future of OTB chess depends on the symbiotic relationships of many components where each part must contribute positively in order to guarantee a continued healthy existence of a Boston chess community. In contrast, the never ending squabbling and pettiness at the national level in the USCF, sometimes involving lawsuits by certain individuals, is a great example of how NOT to care and feed a chess community. This conflict may pull the USCF into bankruptcy. 1. Players: if people don't want to show up, no one is going to stop them. 2. 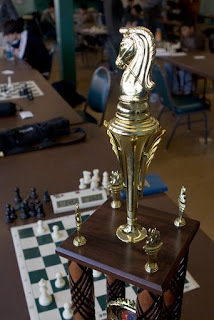 Organizers: either professional or clubs that have the resources and logistic skills to host tournaments example: the exit of Severine Wamala has created an obvious vacuum in Mass chess, MACA is having venue problems; what would happen to local chess if BCF or MetroWest clubs were to disappear? 3. Professionals: especially the superstars that attract attention and create enthusiasm, example: when six or more masters and IM's show up at the BCF on a random Saturday to play it's just plain cool (and that usually attracts a couple more masters/IM's who watch these titans with the rest of us (some IM's even have been known to hang out in the skittles room divulging to smith-morra aficionados some way cool non-intheory devastating line while just kibitzing with the junkies: IM Marc Esserman. Ilya Krasik, Paul MacIntyre, as well as others, have held court on many a Saturday in the skittles room as well while the tournament progresses.) And in addition we need those who teach chess; for they develop the talent of the future. Members of the Boston Blitz are a great example of these type folks. And I see that the Blitz, as do many other masters, reach out and contribute to the local chess community. 4. Volunteers: these folks have decided to give back time to chess and are necessary at the local and state level;( I can't name them all) but Bernardo Iglesias, Bob Oresick, and Chris Chase are at top of the BCF list where many others especially the BCF board members do their part to keep the BCF running. And we have Tony Cortizas' photos along with the MACA magazine edited by Mark Donlin to document the activity, not to mention the MACA board. Must be mentioned is the Boston Globe, Harold Dondis, and Patrick Wolff. 5. Philanthropists: there are some organizations and many people, big and small, that are making up the difference by donating to keep the BCF in the black. Operationally the BCF couldn't survive for long without this help. 6. 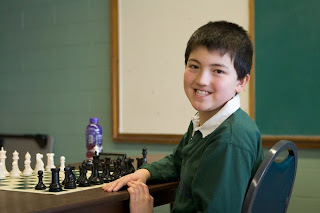 Scholastic Chess: this is the future of chess, our future players and future masters all must come from the kids. 7. Local Universities: the trail from Harvard, MIT, BU, (and the other 200 local universities) to the BCF for many a student player is short, and we welcome them all: example, a few weeks ago wicked solid IM Rico Zenklusen of Switzerland, now at MIT, dropped in to play and tied for 1st with IM/BCF co-champ David Vigorito (what fun to watch). 8. 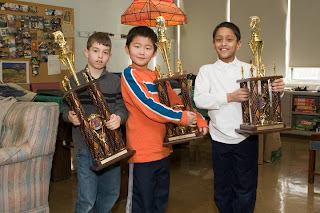 Clubs: BCF, MetroWest, as well as the 45 other chess clubs around the state. And I also add the Au Bon Pan to this group. 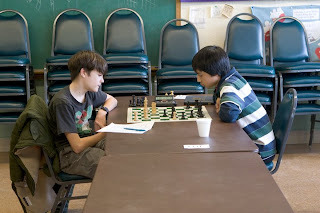 Clubs are the culture dishes of the chess community where camaraderie, competition, knowledge, and sportsmanship grow. Another way to look at this is to pull anyone of the above mentioned pieces out, or pour some poisonous vitriolic conflict over this, and you would have a different picture. We as a community should appreciate what we have and continue to invest our time, money, emotions, and competitiveness into it. And above all show up and play. How can we grow and improve this community? Saturday, Feb 7 was the 100th Pawneater in the series started by Gus Gosselin in Rhode Island. With 65 players, it was also the largest. Frank Vogel was the chief TD, ably assisted by Eric Berkey. In the U1900 Section Thomas Hartmayer won with 4.0 and Paul Sciarafa came in 2nd with 3.5. The U1500 Section was won by Boris Zhevelycik with 4.0 and Charvdatta Deodas was 2nd with 3.5. We were in a cold war several decades ago, and organizations like the CIA and NSA were working on ways to get every advantage over the USSR. With the help of Doctor Timothy Leary new types of drugs like LSD along with a new set of amphetamines were tested for their effectiveness in increasing a person's ability to think, especially in stressful situations. Early human guinea pigs for these drugs were prisoners like the notorious Whitey Bulger, then a resident of Alcatraz. Later a group of Boston area chessplayers volunteered to do their patriotic duty to see if these drugs would improve performance. Results of demonstrated performance improvement were not obvious except in the case of one person who seemed to benefit: that was lawyer, columnist, philanthropist, author, Harold Dondis. Harold Dondis with Klara Polgar at the Boylston Club in 1985 - photo: stepak. Continued experimentation over following years indicated that there were no drugs that could enhance chess playing. In June 1999 the International Olympic Committee officially recognized chess as a sport, and being such, players were subject to drug testing. Although the debate as to what drugs to test for went on. On Dec 11, 2008 Grandmaster Vassily Ivanchuk refused to submit a urine sample for a drug test at the Chess Olympiad in Dresden and created a furor; but it was eventually decided, due to technicalities, that he would not be suspended for two years. Most players felt this testing was dumb. Until very recently this has been everyone's belief relative to chess. But at this moment new research and some rogue student experimentation, have demonstrated that ADAH (Attention-Deficit Disorder) drugs do in fact enhance mental performance and focus of "normal" people. Adderal, Ritalin, and newer drugs are being used. What's even more interesting/controversial is that there is a group of scientists advocating the use of these drugs by normal people in order to improve their study or work?! (url below) In the last month, Martha J. Farah has been interviewed several times by NPR advocating this position. To wit, I think that chess has found its drugs to test for. It's illegal to self prescribe these drugs, and I would advise you to check out the not so nice side effects of these drugs, like insomnia and lack of appetite. And the biggest risk is the increase of dopamine in the brain, which could cause addiction. Doctors weigh the therapeutic advantages vs the side effects when prescribing drugs and clearly with some folks with ADAH, the benefits outweigh the risks. I hope that introduction into mainstream society of these drugs doesn't pressure any one to feel they have to take them to be competitive. Just like what has happened in the steroids situation; Where you have a huge youth athlete population taking them. I feel the real pluses and minuses to society should be weighed and opinion and law be formulated based on fact in dealing with health and social protection. I just see it as interesting that the people advocating it's use by everyone have capitalistic interests, but drugs for recreational use are bad. Just the hippy in me, I guess. Rico Zenklusen and Dave Vigorito win the FK Young tournament. Rico Zenklusen (2440) and Dave Vigorito (2418) tied at 3.5 in the Open section of the Legends: Franklin Knowles Young tournament on Sat at the Boylston. 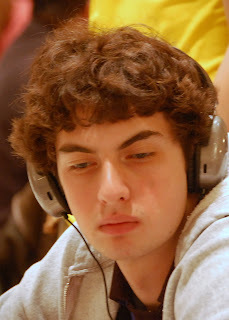 In the under 1800 section, Seth Lieberman won with 3.5. Bernardo Iglesias, Andrew Liu, and Robert Oresick tied for 2nd with 2.5. Local top GM Larry Christiansen, who plays Board 1 for the Boston Blitz in the US Chess League, has just won the Game of the Year prize for his sacrificial gem against Dallas's Zivanic in the dramatic Final match. Worthy of a prize in any year, the heightened drama of the last round made the game an instant classic. As a testament of the game's broad appeal, the highly volatile panel of 5 judges awarded Christiansen-Zivanic two 1st place picks, two 2nd place picks, and a 3rd place pick. The game is so fun to replay that I've added another link to the game here -- Christiansen-Zivanic. Here is a Harper's Index- like recounting of the game. Anyone willing to take that f-pawn from Larry again?